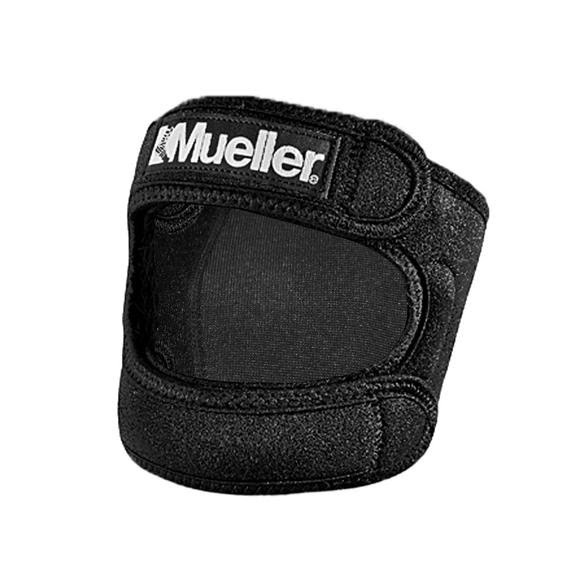 The Mueller MAX Knee Strap is a lightweight and comfortable support for relief of pain associated with soreness, stiffness and arthritis. Compression tubes target above, below and on both sides of the knee. This lightweight and comfortable support provides targeted compression without reducing mobility. Upper and side compression tubes target misalignment and help improve patellar tracking. The Mueller MAX Knee Strap is a lightweight and comfortable support for relief of pain associated with soreness, stiffness and arthritis. Compression tubes target above, below and on both sides of the knee. This lightweight and comfortable support provides targeted compression without reducing mobility. Upper and side compression tubes target misalignment and help improve patellar tracking. Breathable, mesh fabric allows for an all-day comfortable fit.